What Eating Trends are eating you? Several eating trends form the basis of our diets. Our modern diet or better-named western diet is the main reason why people all around the world are fatter and sicker than ever before. Our eating habits consist of far too many highly processed foods, refined sugars, hormone injected meats, harmful processed fats and is filled with a number of toxic additives with names that we cannot even pronounce. A rivalry between money hungry corporate Food giants has sparked the development of food which tastes better, is longer lasting, can travel further distances and has attained the look of perfection people in today’s society demand. Sugars, preservatives and flavour enhancers form the basis of perfection which takes the form of heavily processed, densely caloric, Low nutritional food, food which looks pretty on the outside but is rotten on the inside. Supermarket shelves are quite literally filled with fruits and vegetables polished to perfection. Only when you bite into that juicy looking apple will its rotten core be revealed. Societies need for perfection spans across every aspect of our lives. It may be wise to lower your standards and only buy foods that possess flaws only then will you know that it is real. I mean what ever happened to the natural foods, fresh and grown locally using traditional methods and not grown in a lab. Ideally farmers should be wearing muddy gumboots and overalls rather than a lab coat and safety glasses. Coming from a place where junk food is as rare as sunken treasure and sodas, fruit juices, processed foods, greasy pizzas and French fries never make it past the door. It can be difficult to grasp that we live in a society where we don’t eat enough fruit and vegetables and many follow eating trends which typically lack any form of colour except from the occasional red in the form of highly processed, high sugar tomato sauce. Yet we live in a society where food is not scarce and people are overfed and undernourished. 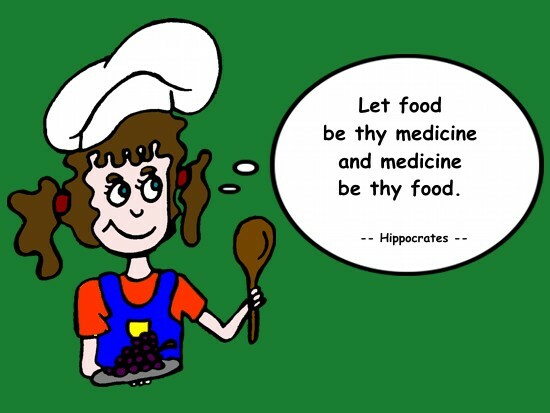 Have we forgotten the importance of feeding our bodies with nutritious fuel as Hippocrates says “let food by thy medicine and medicine be thy food”. Should health problems such as diabetes obesity and heart failure which are common ailments in today’s society be seen as a normal part of life? Perhaps an acceptable side effect for our comfortable lifestyle? It should scare us into thinking more about what we are feeding ourselves, as close to a tenth of the population has diabetes and heart disease is the number one killer. Where does this ever increasing so called “improvement” of the western diet stop? The health of the public was never the goal. The people feeding us are money hungry and self-obsessed. They get money from creating food, selling food and healing people made sick by the food that they were fed. We have entered a nasty cycle in which consumers are worse off. Now that everything has gone wrong and eating trends are worse than it ever was we attempt to right the wrongs by following a myriad of fad diets. We are bullied into following strict damaging fad diets that cut out whole food groups as a bid to lose weight and gain health. In truth these fad diets are causing a number of chronic health problems which are slowly killing the population. Many of these fad diets have controversy surrounding them with supporters of the individual diets trying to prove that their diet is the best. Why when our diet is so plentiful are we restricting ourselves with fad diets that are supported by a mishmash of half-truths, pseudoscience, imagination and untested claims? Controversial fad Diets include the low fat diet, low sugar diet, low carb diet, vegan diet, raw vegan diet, vegetarian diet, 80/10/10 diet, raw till four diet, paleo diet, Atkins diet and the GAPS diet just to name a few. All of these diets have one thing in common they are all restrictive and they all think that they are the perfect sustainable diet. In all honesty our western eating trends are far from perfect. If our deteriorating picture of health, showing an increase in diabetes, cancer and heart disease as well as declining health in bones and teeth is anything to go by. By realising that the human body is designed to consume the broadest range of food the nutritional pallet of many is severely lacking.